For most people, achieving a healthy, beautiful smile is the reason to receive orthodontic care. If you’re self-conscious about your smile, correcting your concerns with braces will greatly improve the way you look and feel. When your treatment is complete, you will have the smile you’ve always dreamed of and the confidence to show it off! We also want you to feel comfortable and confident throughout your entire orthodontic experience, and our practice is dedicated to making sure you receive the quality care you deserve. Gone are the days when a metal band with a bracket was placed around each tooth. You can now choose clear or metal brackets and, in some cases, the color of your appliance. Wires are far less noticeable, and the latest materials are designed to move teeth faster with more comfort. 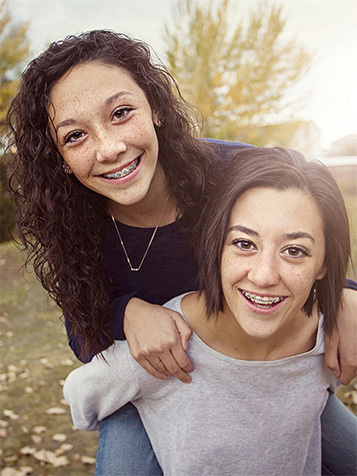 Today, any age is a great time to wear braces! Treatment times vary, and can last between one and three years, depending on several factors, including age, treatment method, and how minor or severe your case is. A big factor in a successful treatment is you! The more involved and diligent you are, the more efficient your treatment will be. For children, receiving interceptive or early treatment can also help ensure a quicker treatment time. Before beginning your orthodontic care, Dr. Rashed will discuss all your options and provide an estimate for how long your full treatment may last. Please contact our practice to schedule an appointment and learn more about orthodontics and the treatments we provide.